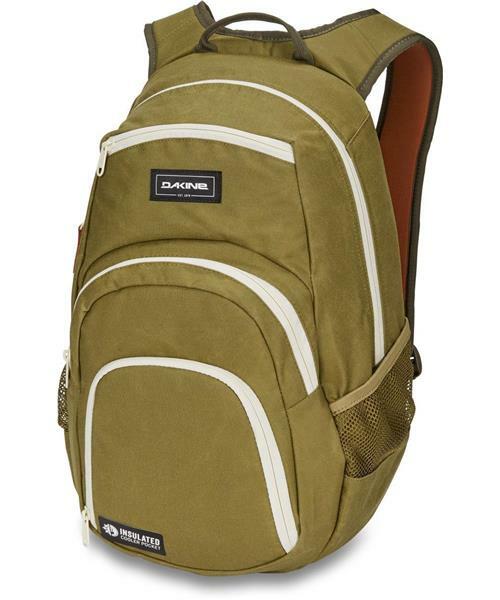 The Campus 25 liter follows the lead of Dakine's popular Campus 33 liter back-to-school backpack with a slightly smaller volume-great for smaller students or smaller workloads. Packed with all the same features including a large top compartment with a padded laptop sleeve and room for books and binders, a fleece lined sunglass pocket, a slim organizer pocket, and a handy insulated pocket to keep lunch and snacks cool. Padded shoulder straps and an adjustable sternum strap ensure a perfect fit.